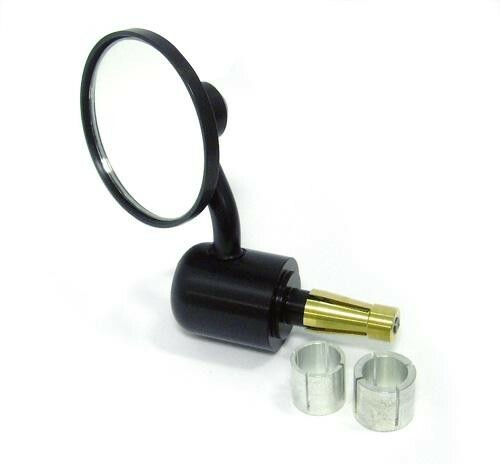 Universal fitting bar end mirrors. 58mm diameter flat glass. Colette fitting system. Aluminium components, Black anodised finish, 1off 6mm grub screws secure mirror in any position. Available to fit internal handlebar diameters from 12mm to 22mm. Fits either left or right. Order 2 of to make a pair.